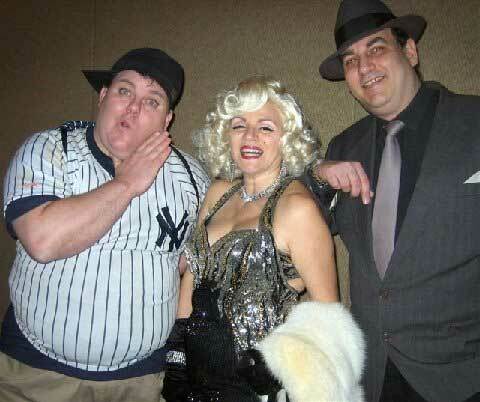 Martino and Greenberg, together for over a decade, are the first and foremost Abbott and Costello tribute artists. They have performed their A&C act numerous times... in Atlantic City, and most notably twice at the world series celebration for the New York Yankees (receiving nation wide coverage). Martino and Greenberg are available for corporate and private parties, along with other venues. ...and joke with Sportscaster Warner Wolf during WCBS-TV's coverage of the World Series Celebration.